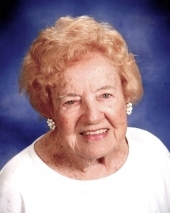 EAST PEORIA – Doris M. Snyder, 110, Doris Mae Snyder of East Peoria formerly of Peoria died on February 2, 2019 in Peoria, IL. She was born to Lillian Kelly and Frank Edwards on August 10, 1908 in Boston, Massachusetts. She married Donald E. Hall on August 12, 1929 in Chicago, IL. She then married Harry R. Snyder in Peoria, IL on July 26, 1958. She is survived by her granddaughter, Debra (Daryl Fager) Hall (East Peoria), her G-grandson, Dylan Hittle (East Peoria) and her G-granddaughter, Carilyn Fager (East Peoria) and stepgrandson, Stephan Hughes (Lacon). She is also survived by her inherited family, grandchildren, Warren Snyder (Georgia), Tony (Flossie) Ferrero (Roanoke), Terry (Rick) Leet (Iowa), Marcia (Eddie) Fleming (Georgia), Michael (Ruby) Ferrero (Washington), Randy Ferrero (Henry), Dwight (Kathy) Snyder (Georgia), Michele Birkner (Peoria) and Melanie (Jonathan) Ellison (Peoria); nieces and nephews, Joe (Andrea) Snyder (Washington), Marie (Richard) Haines (Florida), Jim (Mary Lynn) Snyder (Texas), Kathy Lynn (Mark) Dunn (Montana), Tim (Jill) Snyder (Mackinaw), T.J. Snyder (Minnesota) and Mary (Dale) Whitaker She is also survived by 14 G–grandchildren; 26 GG-grandchildren; 3 GGG-grandchildren; and 21 G-nieces/nephews; and 29 GG-nieces/nephews. She was preceded in death by her husband Harry R. Snyder; her son, Duane E. Hall; her daughter-in-law, Carolyn Newcomb Hall; and her inherited children, Harry (Lucille) Snyder, Jr., Donna (Frank) Ferrero, and Sharon (Willard) Birkner; sister-in-law, Anna Lou (George) Kull; brother-in-law, Billy (Helen) Snyder, granddaughter Paulette Snyder; and nephews, David (Debra) Snyder , John Michael Snyder, and Kevin Wheeler, and nieces, Rebecca Wheeler, and Jody Snyder. camping with Harry Snyder. Together they drove to Alaska twice when the highway was still gravel. She first worked at Kraft and then went on to the Edward Katzinger Co. both in Chicago. During the Great Depression married women were the last to be chosen for jobs, so she passed her husband off as her brother and went to work for Honeywell. She was then employed by WMBD in Peoria using her skills as a stenographer. She has been a member of First United Methodist Church in Peoria for over 75 years. At age 101 1/2 she agreed to an experimental aorta valve replacement done by Northwestern University in Chicago being their oldest patient. It was a great success and now the Transcatheter Aortic Valve procedure is widely in use including in Peoria. Doris considered her son, Duane, to be her greatest accomplishment in life. One of her greatest pleasures was listening to him play with many bands in the area. She was very happy to be able to spend their later years together. She was active all her life enjoying horseback riding, workouts at the Elaine Powers Figure Salons, playing tennis and badminton, swimming often at the YWCA and tubing down the Mackinaw River with her grandchildren. She had a consummate love of dogs which continued her entire life. one on in July of 201 8 with her dear friends Owen and Carole Ackerman. One of her greatest joys was the music of Lawrence Welk which she listening to up to the last few minutes of her life. Doris lived her life with grit, grace and practicality. She was a class act, always conducting her life in a moral and graceful manner. The family would like to extend their deepest gratitude to the staff of assisted living at Generations at Riverview. And also to the Palliative Care team at OSF for the exceptional care and compassion shown by all. With your professionalism and assistance, Doris left this world as she lived in it-with grace and dignity. A memorial service will be held at 12:30 p.m. on Sat., Feb. 9, 2019, at The Wilton Mortuary in Peoria with Rev. Timothy Ozment officiating. A visitation will be held one hour prior to the services at the mortuary on Sat. Feb. 9. A burial of ashes will follow at Parkview Cemetery in Peoria. Memorial donations may be made to My Loveable Angels (Animal Rescue), 2808 Essington St., Bloomington, IL 61705 or First United Methodist Church, 116 NE Perry Ave., Peoria, IL 61603. This obituary was proofread, corrected, and approved by Doris M. Snyder on August 4, 2017! "Email Address" would like to share the life celebration of Doris M. Snyder. Click on the "link" to go to share a favorite memory or leave a condolence message for the family.